Home Sweet Home...: Some decorating pictures as we await the final countdown! Some decorating pictures as we await the final countdown! 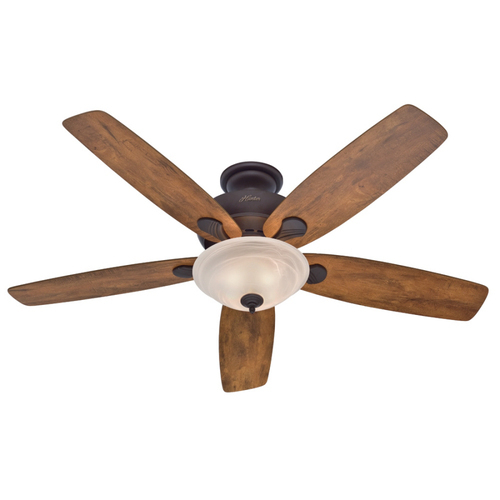 Hunter Regalia 60in ceiling fan (Lowe's)-for the family room. Love the lighter almost distressed looking blades. I think this will look great with the antique white cabinets and Sedona cherry flooring of the kitchen. 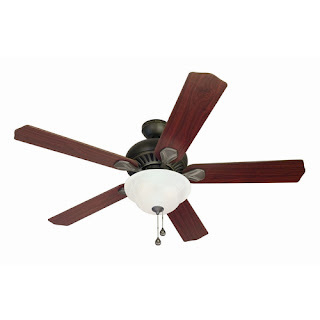 The 60in size will be great for circulating air around the whole great room. Harbor Breeze 52in Crosswinds Oil-Rubbed Bronze (Lowe's)-for the master bedroom. This is a great affordable fan! Only $89 and comes with a remote! I think the cherry blades will help pull together the cherry cabinets in the master-bath and the burgundy sheets in our bedding. 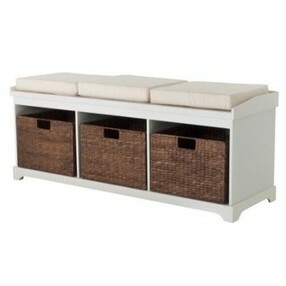 White Entryway Bench with baskets (Target)-for the office (living room per floorplan). This room has a great double window and I wanted to do some sort of faux window seat. This bench should be the perfect size and I'll be shopping for some nice pillows to go on top. 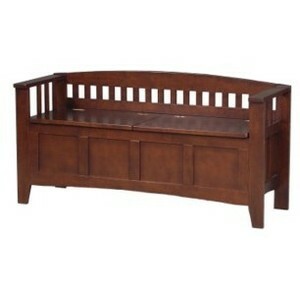 Linon Storage Bench (also Target)-for the mudroom. I plan to get a cushion and pillows for this as well. The seat opens and we'll keep containers for shoes and mittens/gloves/etc in the winter. This bench is a possibly perfect/possibly bad idea size. It's literally within an inch of our width of the wall measurements. I think the widest part is the arms though and we'll have a little more space there because I measured the wall down at the floor baseboards. We're hoping the size will give a nice-built-in feel but depending on how accurate the manufacturer's measurments are; it could end up slightly too big. We also got this awesome soap foamer (amazon) for the kitchen. 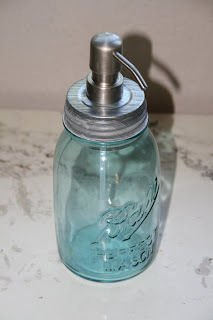 We'll be decorating a little with mason-jars and have been looking for a nice foaming soap dispenser so this was perfect! We use Dr.Bronner's soap so foamers are a must and a lot of the pretty dispensers are not foaming. We were pretty excited to find this! Our $17 china cabinet is coming together nicely. 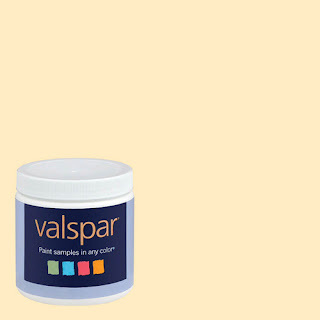 This will be used in the craft/school room (dining room per floorplan). We just need to finish up the lavendar back and a little more distressing. The pulls and wire grating are now oil-rubbed bronze. A close-up shot to show the distressing. The table for the morning room-this was another great Seconds City find. We have been looking for a nice older table with character. We wanted something fairly large that would seat at least 8. This table gets huge- it has 3 large leaves. I can't remember the exact measurements but I think it gets to around 9 ft. It was pretty ugly when we got it but we loved the character in the table legs and it came with 8 chairs. 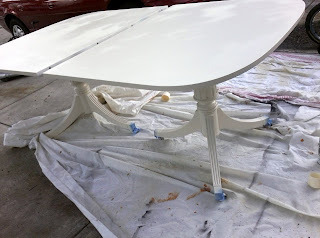 The table looks really nice now that's it's a creamy white color similar to our cabinets. We'll be glazing or distressing the legs and doing the poly coat next. The chairs have a lot of detail and were perfect for the look we are going for. 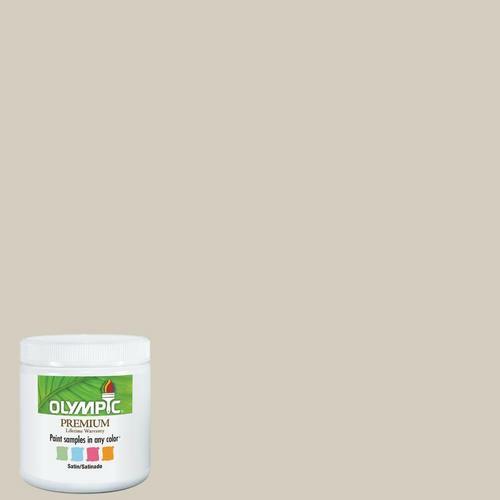 We are keeping the natural wood color. I'm hoping to salvage the cushions (they're are a few spots on them) but if we can't we'll reupholster them. This gorgeous china-cabinet!!! I've loved this forever and I'm so excited to incorporate it in our house! This will be in the morning room. This awesome antique pie-display case! I haven't decided what we'll do with this yet but I love the story behind it! How fun to have something that was used to display pies! And the top drawer was where they stored the money! So cool! And last but not least...paint colors! These might be paint-matches to these colors because we haven't decided on the brand for sure. In 2 days we'll have keys!!!!!! 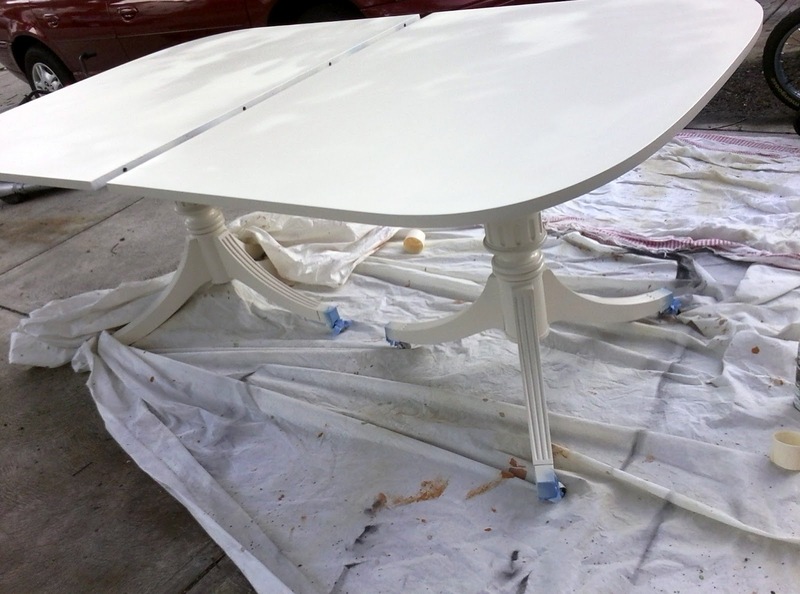 Really impressed with the table…what a great find! Thanks! We've found lots of great stuff there! 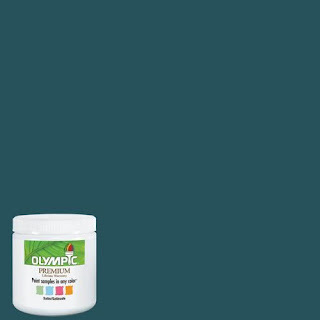 I love the master bed and bath colors! I might have to steal those colors! 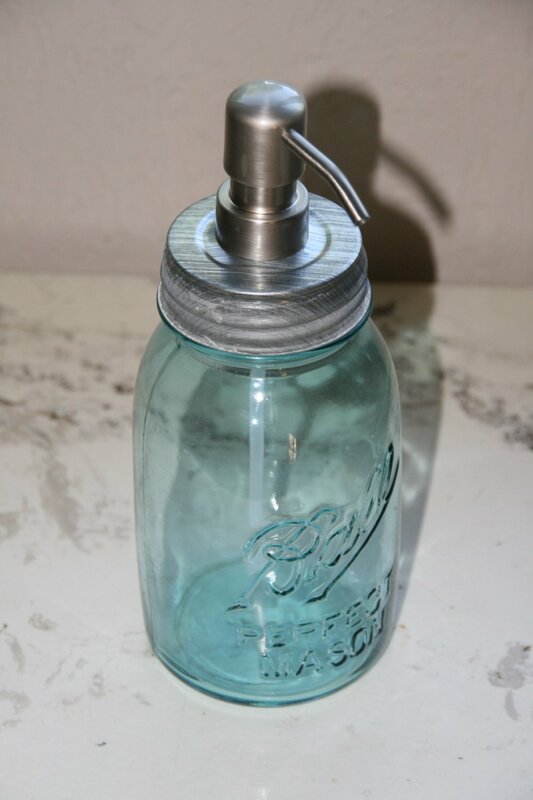 What is the brand of that soap dispensor? I lover that! Great stuff! 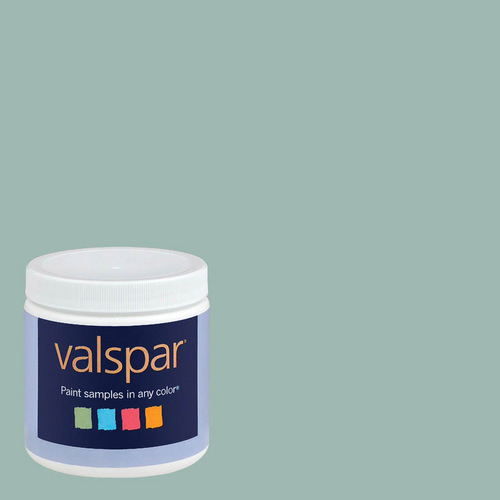 I love the paint colors!